Extract from The Bradshaw Estate 1542 - 1919 by James Francis, Chapter 16, pages 60-62. The first record of this holding was in the Indenture of 28 April 1670 when John Bradshaw of Bradshaw Hall sold Walsh Fold and other lands to Thomas Smith of Smithfold, Little Hulton. The Indenture included 'All those closes fields and parcels of land, meadow and pasture being in Bradshaw commonly called the Browne, now or lately divided into several closures and parcels of land called the Browne Meadow, the Browne Close with one Barn now standing and being thereupon, the new Marled, formerly called the Rough Close and all the rest of the Rough and lands and pasture called the Browne, containing in the whole by common estimation three score and two acres of land, meadow and pasture of the measure there used, with all and every woods, cloughs, banks, waste grounds and marshes, water and privileges belonging therewith'. No occupant was named and the holding seems to have been a part of Walsh Fold’s land when there was a remote barn without a house, convenient for feeding and sheltering stock during winter. In the 1798 Land Tax Assessment, the property, then owned by the Parkers and occupied by William Kershaw, had a Tax Valuation of £1 1s 6d, the largest in the Township after Bradshaw Hall and the demesne. 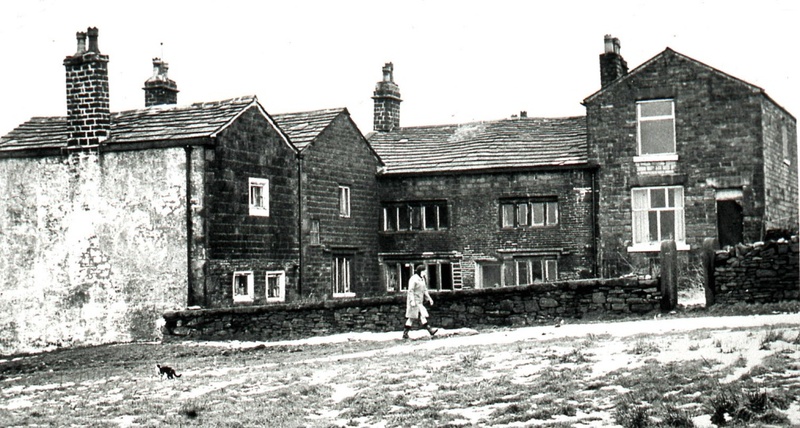 Parkers had acquired Brown Barn and Walsh Fold by marriage. In 1824 Thomas Parker had a survey of his property made and a plan drawn, which shows Brown Barn Farm as of 95.93 acres in the occupation of Samuel Kershaw. On the death of Thomas Parker the estate, including Brown Barn Farm, was sold to Ellis Chantler of Elton, Cotton Manufacturer. The 1841 Census recorded the farmer of Brown Barn as William Street aged 50. Ellis Chantler died on 9 October 1842 leaving the estate to his sister Mary Street for her natural life, and thereafter to be divided equally among her children. Walsh Fold was later sold to Thomas Appleton and Robert Kenyon. Brown Barn and Bradshaw Head Farms remained in the Chantler Estate. Unfortunately there was disagreement in the family leading to an action in the Chancery Division of the High Court of Justice. After several family deaths and the passage of time, the court finally resolved in 1882 that Brown Barn and Bradshaw Head Farm should be auctioned and the proceeds distributed according to the Court’s adjudged apportionment. Settlements were made to the beneficiaries in proportions varying from four at 5/28ths and two at 4/28ths. 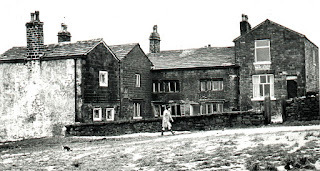 Brown Barn was finally sold by the Executors at Bolton on Jan 11 1883. The 1881 Census records Brown Barn Farm as in the occupation of John Duxbury with 100 acres. He lived with his wife Isobella, five sons and two daughters in the farmhouse, while four other families occupied adjacent cottages. In 1923 the then owner Ellen Rothwell sold Brown Barn to the Rawsthorne family who, in 1960, sold the property to Mr Arnold Kay, in whose family it remains today. 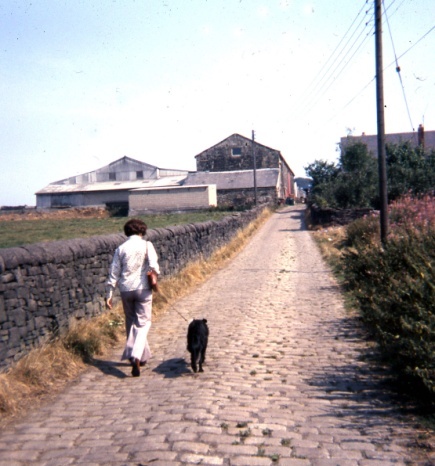 The Kay family first lived in the old farmhouse and three other cottages were in habitation. Mr Kay continued with his milking herd while operating a milk round in the Bolton district. By the late 1960s the farmhouse and cottages were unfit for habitation. Mr Kay converted part of the original property into two separate cottages and built a brick bungalow on the entry lane. Mr Arnold Kay died in 2000 and the farm was divided between his three sons. Brown Barn Farm buildings with the land remain an independent holding. The barn, although reroofed, retains its 17th century form. It is probably the largest in Bradshaw with arched central doorways forming the original threshold. Each half of the barn is floored to allow for shippons below on the ground floor with storage of hay and straw above.